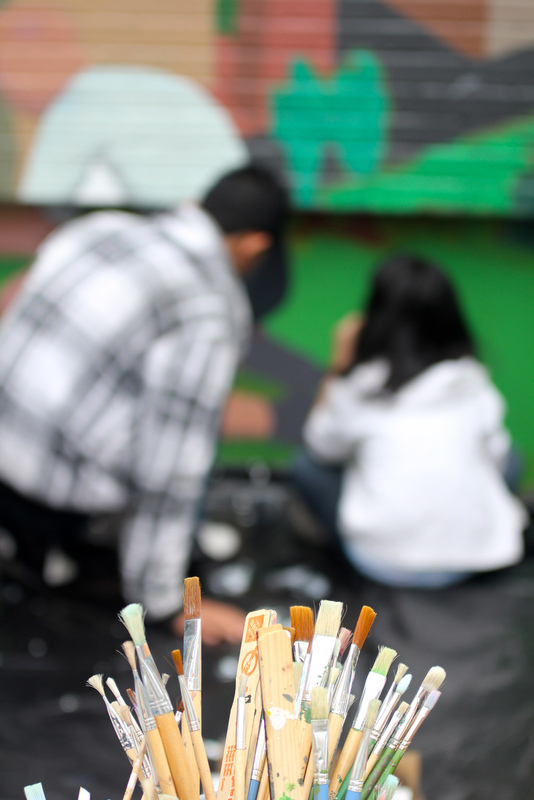 For Thrive Collective, art education really isn’t about murals, music, and media. 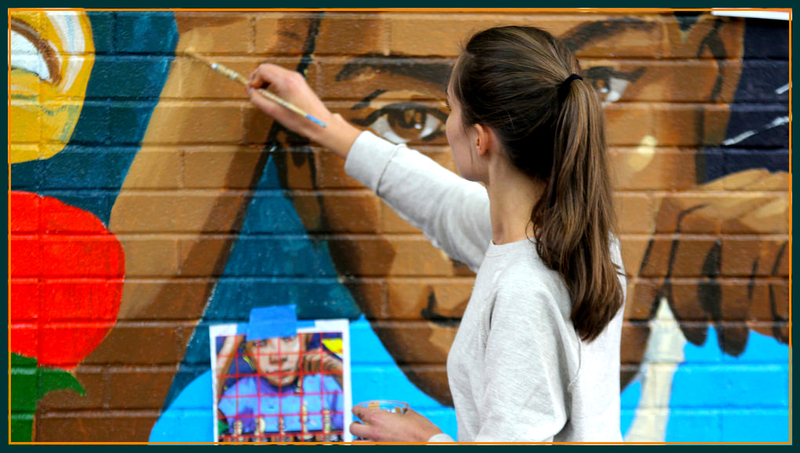 It’s about a creative process for students to find their voice, cultivate a shared vision, and develop the art and life skills to bring that vision to life in collaboration with others. 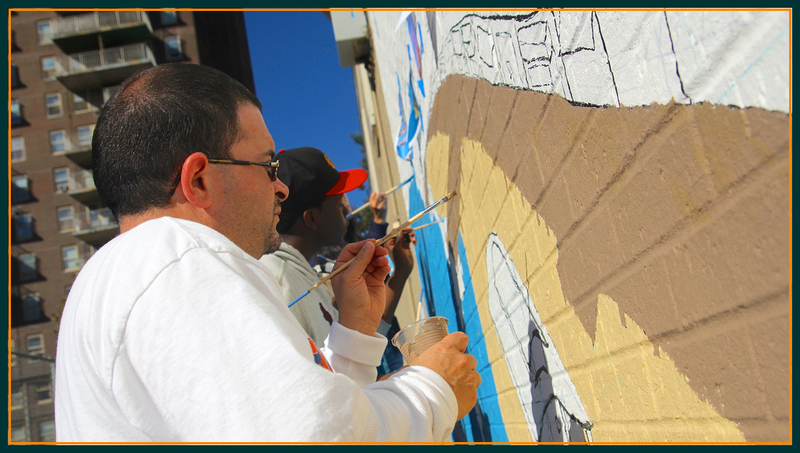 The murals, music, and media they produce simply testify that our process works. It works because it’s rooted in two fundamental beliefs. First, everyone has the capacity to create. Second, our creative capacity isn’t fully realized outside of community with others. Here are the core process steps and related skills each step cultivates. 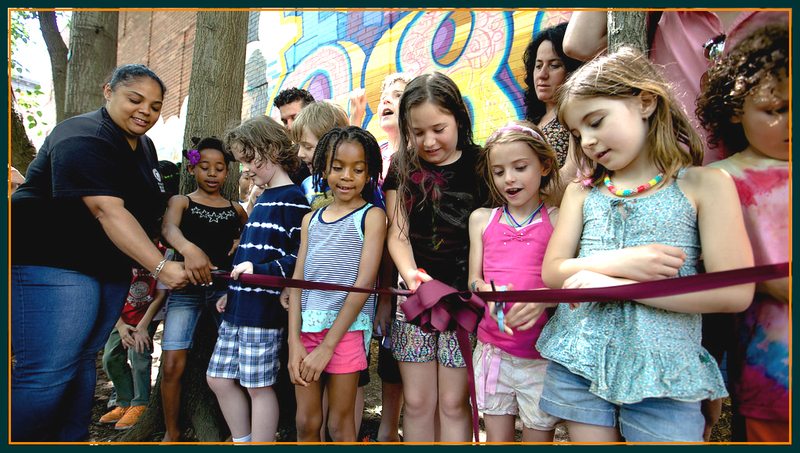 Note that the particulars of how the process plays out varies depending both on the particular program — Murals, Music, Media — and the format the program takes: an accredited elective; an after school enrichment activity; a seasonal intensive; or a weekend community collaboration. What they all share are the basics described below. Under the direction of our senior team, teaching artists and art directors facilitate every step of the process at each school. 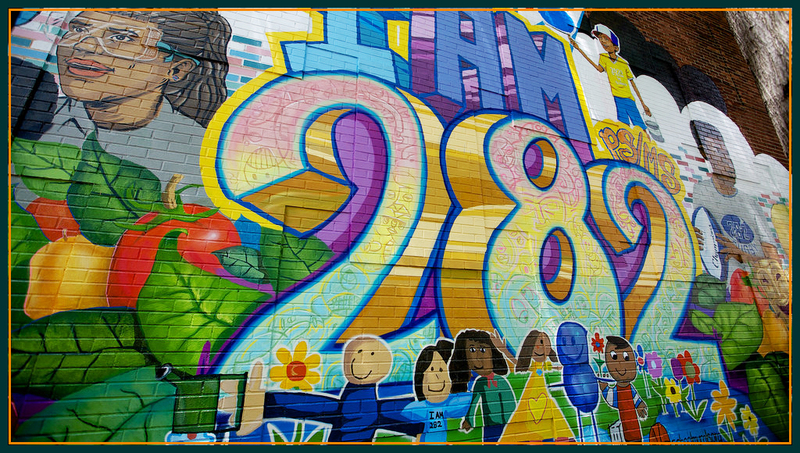 Identify the concept or big idea the mural will communicate collaboratively with the school, and invite students to imagine what and how they want to say. The best concepts are contextually significant for the school community, both timely and timeless. 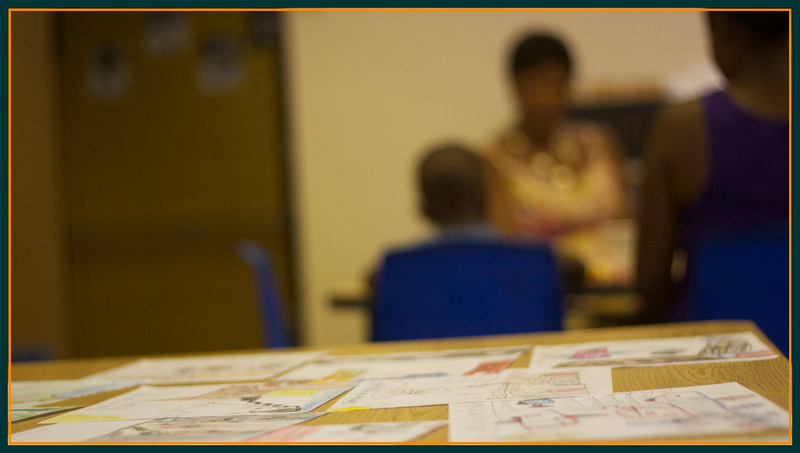 Refine the concept into design ideas by inviting students, parents, and faculty to help interpret the theme visually. Identify a concrete question to provoke insight and clarity. Specific images or concepts are key for compelling design. As in life, the wall surface must be prepared to insure lasting success. Remove dirt and grime with soapy water and sponges; scrape chipped or peeling paint. Apply a coat of primer over whatever remains. Use tinted primer only if you have a dominant background color. We simplify the large design into manageable blocks by creating a grid. The grid insures accurate image transfer and preserves proportions. The result is a large surface broken down into 6″-12″ squares so volunteers can help transfer the image by focusing on one small square at a time. Everyone helps transfer the image by focusing on one square at a time. 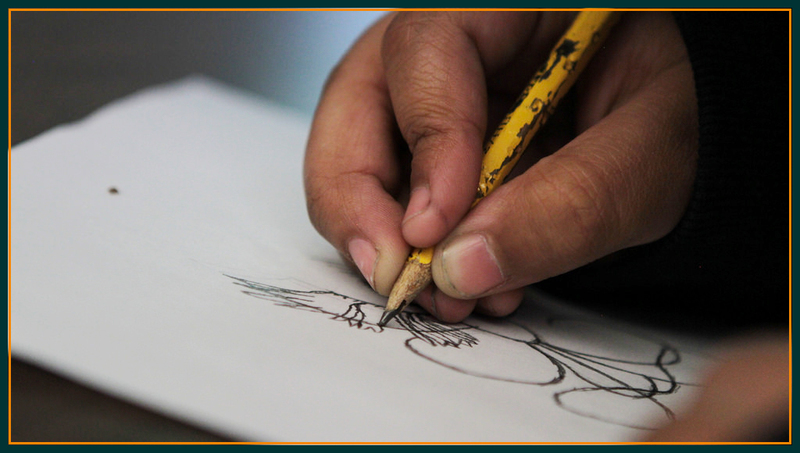 The result of the transfer is to create a coloring book effect with the line drawing. The introduction of color is when the image starts to pop. Since the grid and box numbers are still visible on the wall, this initial application of color becomes a paint by numbers experience. Begin layering shadows and highlights on top of the flat color. Images start to come alive with nuance and texture as students and volunteers pay attention to detail. Skilled volunteers and artists help direct other less experience volunteers. This is the last part of the painting process where the artistry pops and finishing touches are added. 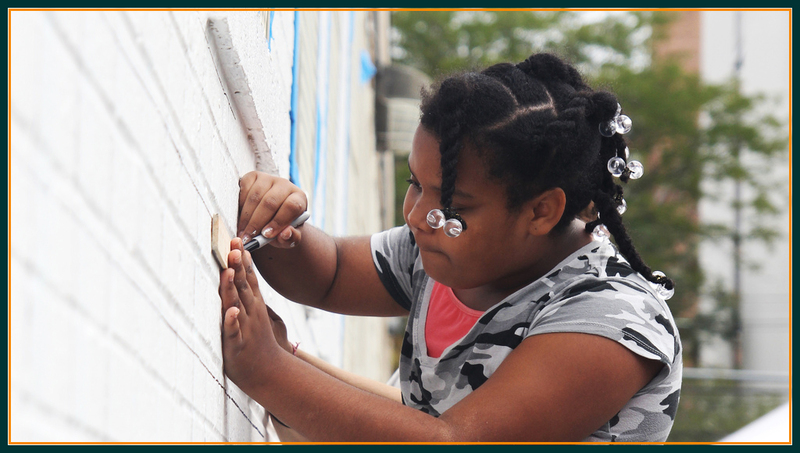 It provides a unique opportunity for our more skilled students, volunteers, and artists to add the most value. 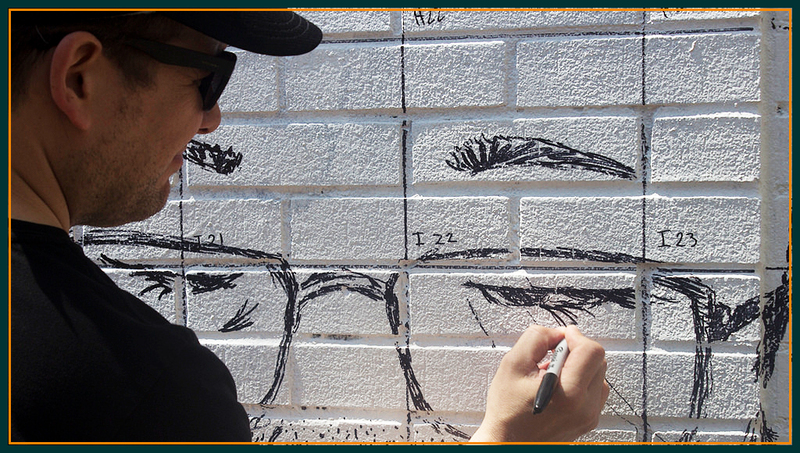 The last step in production protects the mural and maximizes durability with two clear sealants. 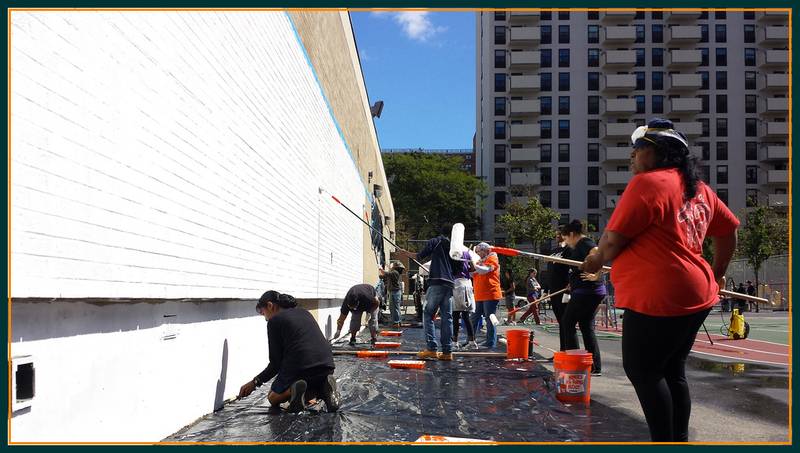 These sealants add a sheen to the mural and protect it from damage cause by weather and from graffiti. 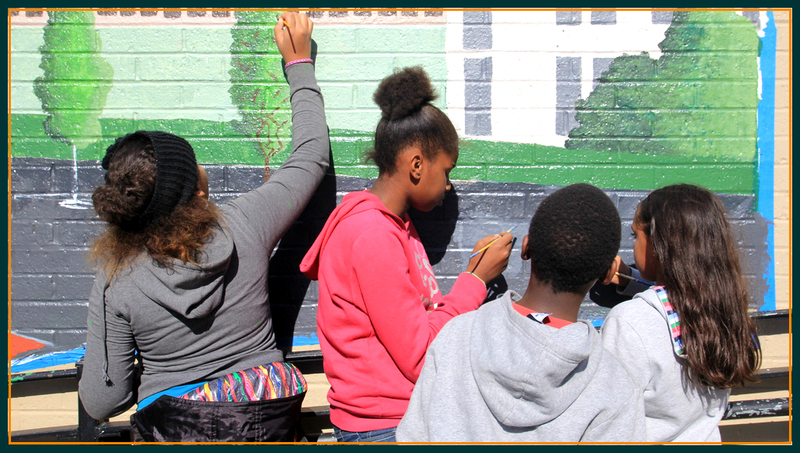 Completed murals collaboratively executed by students and volunteers provide cause for celebration. Every ribbon cutting is different and should reflect the culture and spirit of the school community.